Author Charles Dickens summed things up nicely: It was the best of times, it was the worst of times; and one might add “it was the strangest of times” when speaking about recent climatic conditions in Oklahoma. According to the Oklahoma Mesonet, every climate region of the state has received above-average rainfall the past 30 days, ranging from 139 percent of normal in the Panhandle to 268 percent of normal in the Southeast. However, the latest Drought Monitor as of this writing shows 70 percent of Oklahoma with abnormally dry conditions or worse, including 26 percent in severe drought or worse. “Waves of wet, dry, warm and cool weather have made it difficult to assess forage conditions across the state, with a very cool and wet August just the latest turn in a rather unusual year,” said Derrell Peel, Oklahoma State University Cooperative Extension livestock marketing specialist. The latest U.S. Crop Progress Report shows average pasture and range conditions at 30 percent poor to very poor, up from 22 percent one year ago. In Oklahoma, 23 percent of pastures are currently rated poor to very poor, compared to 7 percent this time last year. Regional pasture conditions have higher percentages of poor to very poor conditions in the West, Southern Plains, Corn Belt, Northeast and Southeast. Peel added the hay situation is perhaps even more difficult to assess this year. The 2018 hay crop year started with U.S. total May 1 hay stocks down 36 percent year over year, and at the lowest level since 2013. 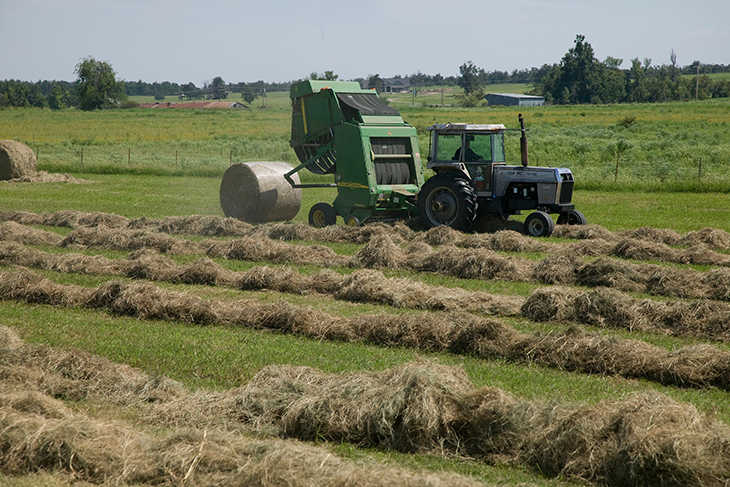 Variable summer weather conditions have affected both the quantity and quality of hay production. The latest Livestock Marketing Information Center projections suggest a slight overall increase in hay production of 0.5 percent year over year, with increased alfalfa hay production more than offsetting decreases in other hay production. However, the lower beginning stocks mean that overall hay supplies will be tighter and higher prices are expected for all types of hay. Still, August moisture may provide an opportunity to boost forage supplies for fall and winter.